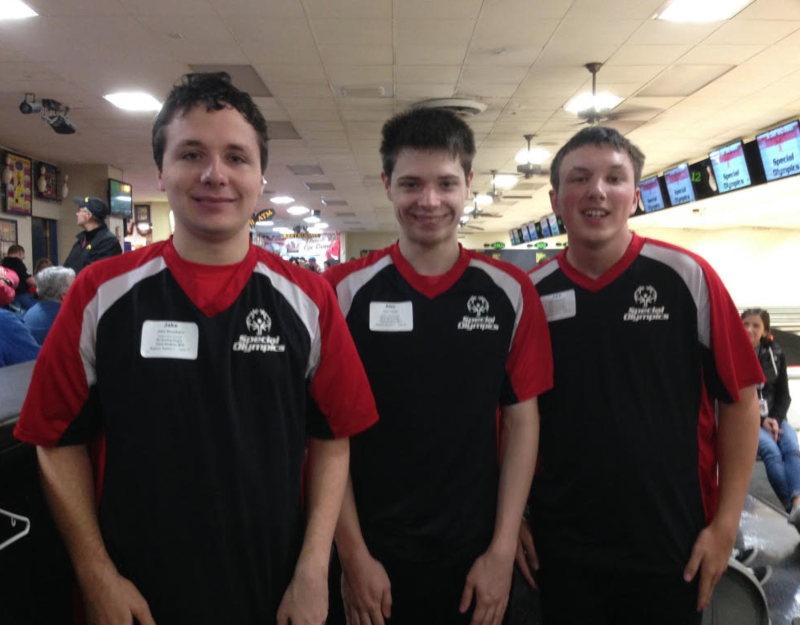 CF graduate Jake Brustkern, Alec Vetter and John Glascock compete at Maple Lanes Bowling Alley in Waterloo for Special Olympics. CFHS Special Olympics gives the community a place to help out and make a difference. 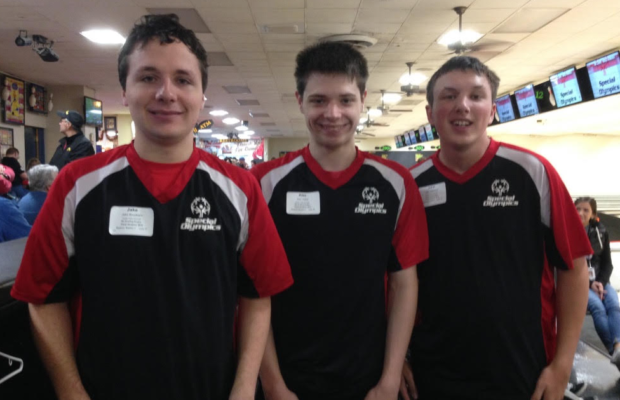 “Special Olympics is a great opportunity for our athletes by allowing them to participate in activities and experience success. 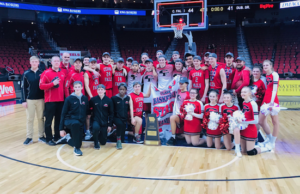 We welcome volunteers to help with the team and get to know our athletes,” Jan Williams, special educator at Peet and coordinator of the Special Olympics, said. Every year, the Cedar Falls branch of the Special Olympics participates in three sports throughout the school session, giving new chances for success to everyone. The third and last event that Cedar Falls participates in is track and field, held in the spring with practices in January and February at the UNI Dome. The districts are held at UNI in early March. Those qualifying for state spend three days on the ISU campus in Ames with the team for the state competition in late May, according to Williams. With the opportunity to participate in three events, the Special Olympics program sees many students from Cedar Falls School District. The following participants are involved this year: junior Kendall Maslak (bowling), senior Kaeli Scallon (bowling, basketball, track), sophomore Lauren Wessels (bowling, basketball, track), sophomore Rebekah Bentley (bowling, basketball, track), sophomore Adia Mortl (bowling, basketball, track), sophomore Travis Redd (bowling, track) and senior John Glascock (bowling).